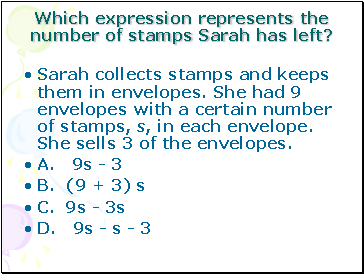 Which expression represents the number of stamps Sarah has left? Sarah collects stamps and keeps them in envelopes. She had 9 envelopes with a certain number of stamps, s, in each envelope. She sells 3 of the envelopes. What is the area of the wall that Keesha will paint? 2. Keesha will paint one rectangular wall of her bedroom. 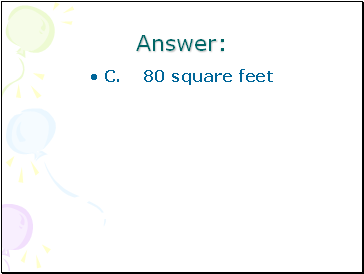 The wall measures 10 feet by 8 feet. 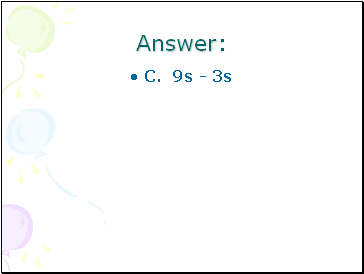 What number should replace n? 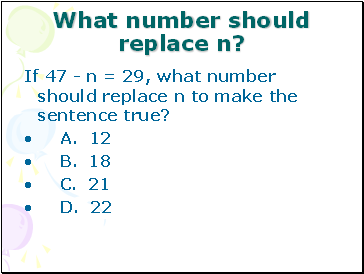 If 47 - n = 29, what number should replace n to make the sentence true? 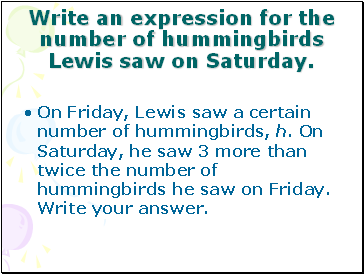 Write an expression for the number of hummingbirds Lewis saw on Saturday. On Friday, Lewis saw a certain number of hummingbirds, h. On Saturday, he saw 3 more than twice the number of hummingbirds he saw on Friday. 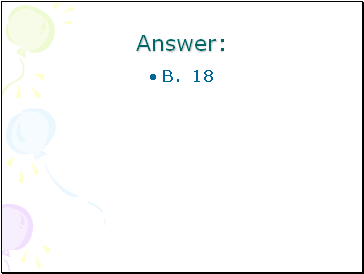 Write your answer. 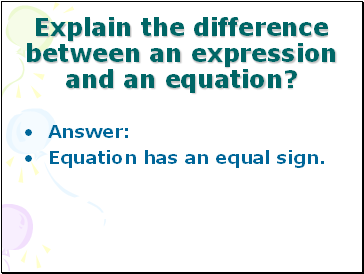 Explain the difference between an expression and an equation? 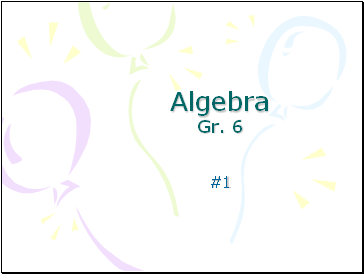 Equation has an equal sign.